Insights — J&G Consulting. Enabling Change for Good. We enjoy the way consulting has changed. We enjoy the fact that today’s world operates with liberated information and an acknowledgement that no one “owns” good ideas. In fact, we believe that good ideas get better as they’re shared because that’s when ideas drive action. Johnston & Goldsmith are proud to contribute through sharing our thoughts and experiences on the things that make a big difference when you’re thinking about how to improve your organisation. 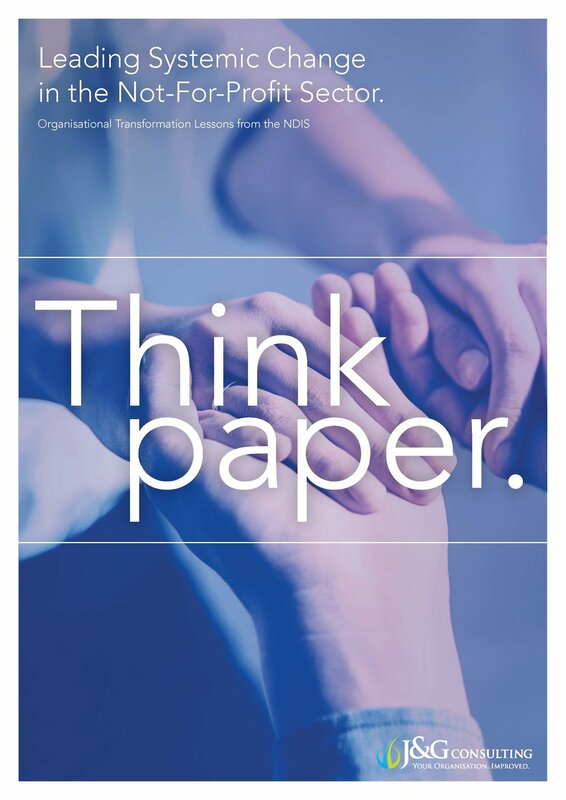 We hope you can use our ThinkPapers and find gems in our Case Studies. LEADING SYSTEMIC CHANGE IN THE NOT-FOR-PROFIT SECTOR. A once in a generation opportunity for sector-wide reflection and rejuvenation comes with its fair share of challenges. workplace Resilience – the key to unlock performance during change. Why do some people and some companies buckle under pressure? And why do some bend and bounce back better than ever? 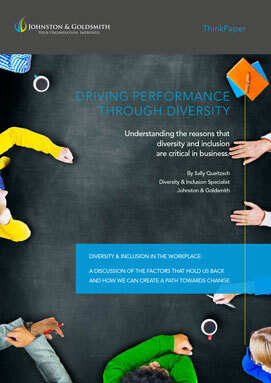 Diversity and Inclusion in the workplace: a discussion of the factors that hold us back and how we can create a path towards change. What are the top challenges facing age-diverse workforces and how do organisations unlock the rewards? Rethinking HR - what are the three steps to transform the HR function so it drives business performance? Johnston & Goldsmith consultants combine decades of experience across the public, private and not-for-profit sectors with specialist expertise in education, health, faith based and public service transformations. Combined with access to leading international research and data, this keeps us ahead of our game – and means clients can lean confidently on our guidance. Sign up to receive a complimentary subscription to 'J&G Insights', with a first-look at our clever ThinkPapers and Case Studies.